In association with iHarvest, the Rotary Club of Coconut Creek helped those who are in need by distributing donated clothing, shoes, books and groceries. The event took place over two days at Pompano Beach High School. The first day, a “boutique” was set up where donated clothes, shoes, housewares and books were displayed. Rotarians worked one on one with needy families, taking them through and helping them to find outfits for each family member as well as housewares like sheets and kitchen tools. A separate room held shoes and there was also an area for books and toys. 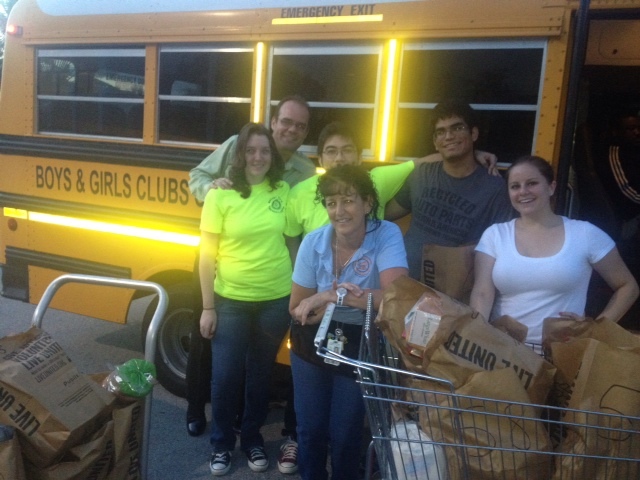 The next day, we helped distribute bags of groceries with 11 bags going to each family. Once the family had checked in, they drove their car and we brought the food out and loaded it in the car for them. This was the third year we participated in this project and it was great to see all of the smiling faces!